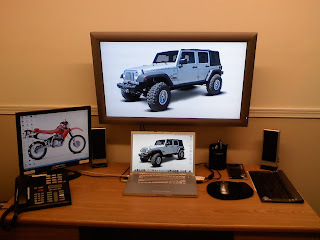 Blair Family Blog: my new desk layout at work rocks! Dang! how many computers do you need cam? it looks awesome!